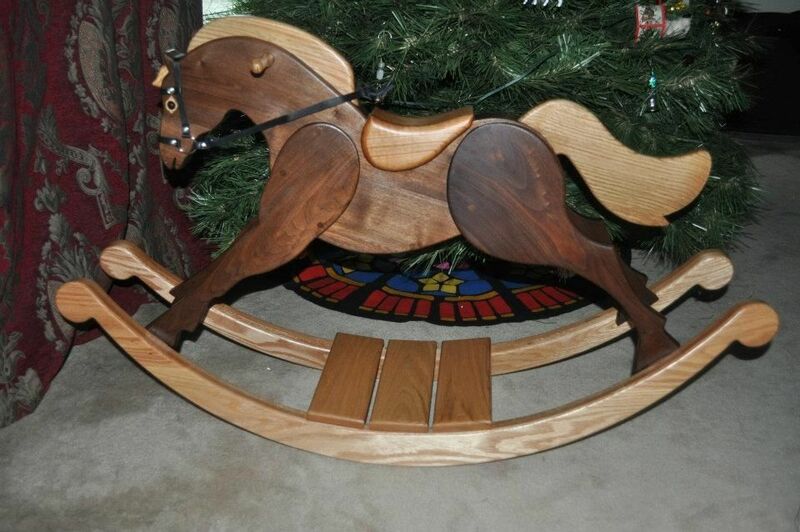 I made this rocking horse for my niece. The body is walnut, with white oak rockers, mane and tail, and a cherry saddle. The bridle is dyed leather. This is one of her favorite toys!